This was a strategic communications centre during the two World Wars, where, in 1904, Marconi established North America's first maritime radio station, now designated a National Historic Event by Historic Sites and Monuments Board of Canada. 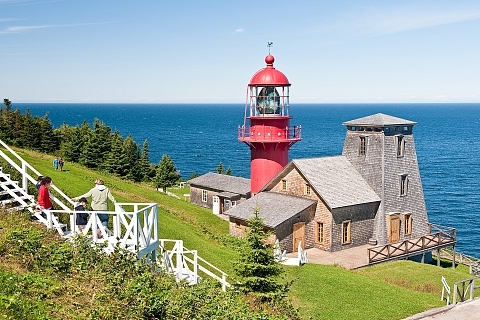 Visit a 100 year-old lighthouse after a 20-year exile in the Port of Québec, exhibits presenting Mr. Marconi, the lives of telegraphists, and lighthouse keepers, and their families. Through the Chemin des pionniers, hiking trails lead to the mountains, the sea, and the fishing harbour at L'Anse-à-Valleau. Schedule: June 10 to September 28, 2019, daily.